After classes had been dismissed, Logan and her friend were doing what most teenagers do—taking pictures in their spirit wear. Then, suddenly, things took an unexpected turn. And the day ended with Logan being suspended from school for 10 days. School suspensions are serious. So what had Logan done to deserve such a severe punishment? 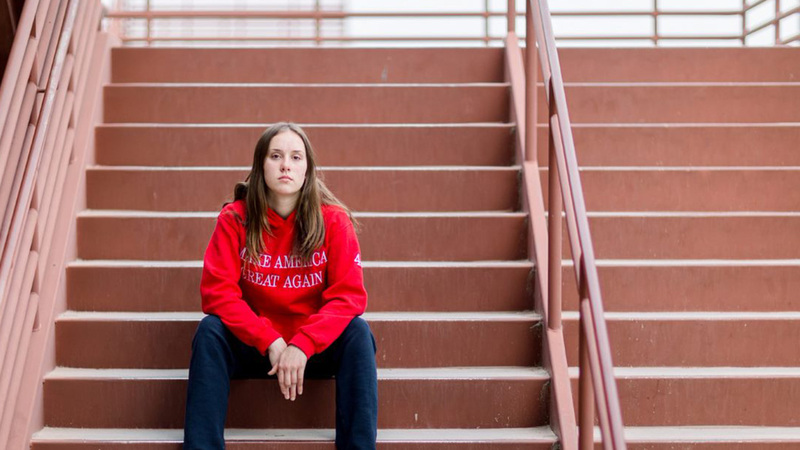 She wore a sweatshirt with President Donald Trump’s popular slogan, “Make America Great Again” (“MAGA”). Here’s what went down. When Logan and her friend were taking pictures outside of the school building—something students at Perry High School do every day without any issue—a school resource officer approached them. The officer ordered them to stop what they were doing immediately. The two girls obeyed and began to pack up and leave campus. But then, the officer followed them and started taking pictures. He asked for Logan’s name, and Logan became worried. After all, she had done nothing wrong and had obeyed his orders. The school’s alleged reason for the suspension is that Logan didn’t immediately give her name to a school official. But the truth is that school administrators disagreed with Logan’s message, so they punished her. In fact, video evidence indicates the hostility school officials have displayed toward messages expressing support for President Trump and his MAGA slogan. And at least one other student has also been punished for expressing similar messages. This is simply a blatant violation of the First Amendment by Perry High School. Every American has the right to free speech. Logan’s message wasn’t lewd or disruptive in any way. You don’t have to agree with President Trump or his “MAGA” slogan to agree that Logan and others have the right to express it. That’s why the ADF Center for Academic Freedom sent a letter to Logan’s school demanding they allow Logan back at school and take the suspension off of her permanent record. While Perry High School lifted Logan’s suspension after three days, the punishment is still on her permanent record. It’s time for Perry High School to make this right. If they don’t, they will be sending a message to their students that free speech only applies to students with certain viewpoints—and that’s not American. If you support freedom of speech, please share this post on Facebook.